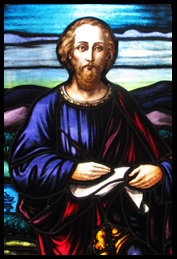 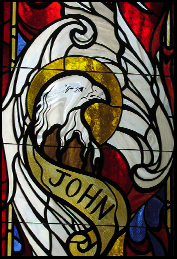 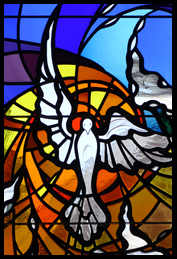 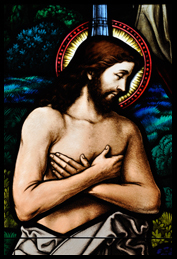 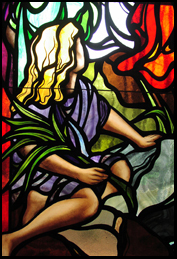 Lynchburg Stained Glass is a full-service studio specializing in new religious stained glass windows. 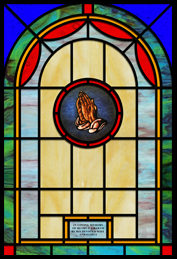 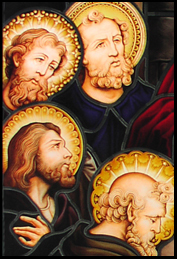 We also provide stained glass restoration, repair, aluminum frames, and protective storm coverings. 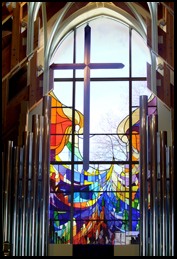 Benefits of vented storm covering? 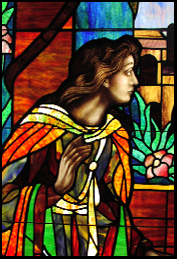 Can I install stained glass into my existing window frames? 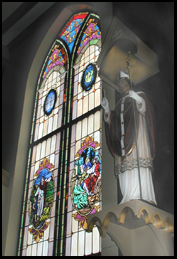 The windows weave a mosaic of images detailing the life story of St. Maximilian Kolbe, using images of the apparitions of the Blessed Virgin he was so devoted to. 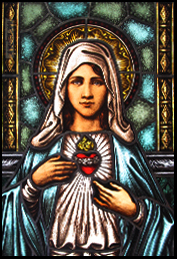 One of the rose windows includes special cast “beads” of glass, creating an actual glass rosary within the window. 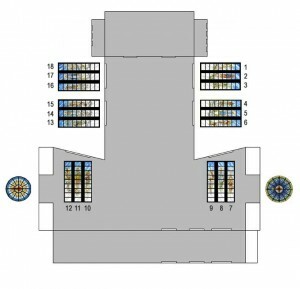 The installation map above is an indication of our service area, with the shaded areas indicating locations of past window projects. 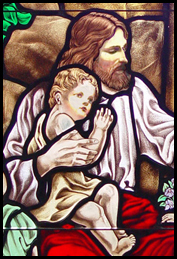 This includes new stained glass projects and restoration projects.